The 123rd Session of China Import and Export Fair - Suzhou UnionTech Imp.&Exp. Co.,Ltd. In this nice April day, our company attends the first phase of 123rd session of China Import and Export Fair, which also known as Canton Fair to look for our next potential cooperator in the warning and safety equipment market. Many kinds of light bar, beacon, siren and speaker are put into our in the exhibit, which attracts many customer to come to inquiry. Through this trade platform, the negotiations are more direct and convenient. 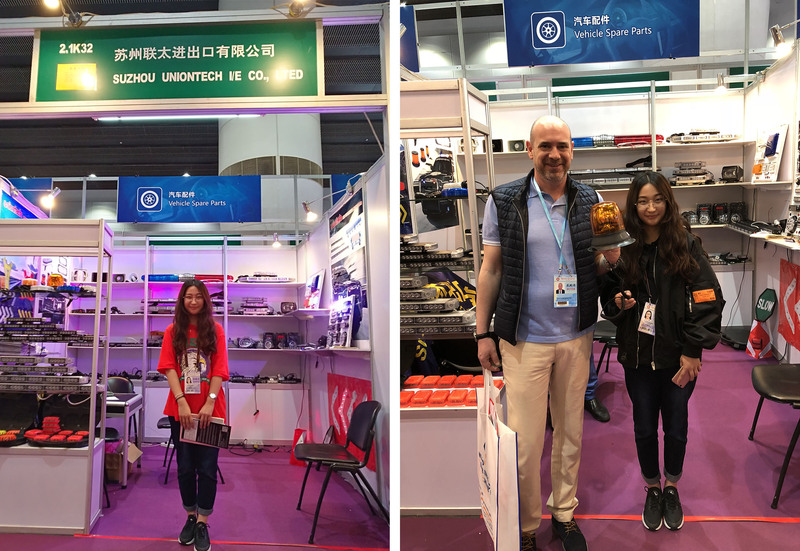 Not only can our company realize their customized pursuit of our warning light, but clients prefer to attend the fair an to come to our booth. The business goes successfully and fluently. Hope you will come to visit us and have a nice talk.